Coimbatore: International carriers such as Virgin Atlantic Airways Ltd and British Airways Plc. (BA) say they are keen on buying stakes in India’s airlines if investment barriers are lifted. The formal expression of interest comes on the heels of Kingfisher Airlines Ltd chairman Vijay Mallya saying that overseas carriers want to buy a stake in his airline. “Virgin Group has a long-standing expression of interest in investing into the Indian aviation market and in spite of tough economic conditions we remain optimistic for the future of this sector," Virgin Atlantic general manager Michael Burke wrote to Mint. “Virgin Atlantic is very much in favour of a level playing field for competition—we believe this is the best way to serve the customer—and as such, any relaxation of ownership restrictions within India would be welcomed." 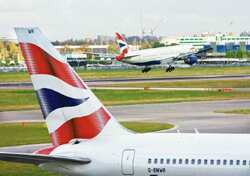 While an email sent to the media agency representing BA didn’t receive an immediate reply, in an earlier conversation a senior executive of the airline had told Mint the British carrier is keen to team up with Indian carriers. New York-based private equity fund WL Ross and Co. Llc. recently invested $80 million (Rs399 crore) in low-fare airline SpiceJet Ltd in July but that investment isn’t counted as foreign direct investment, where there are significant restrictions. “We would only address the question if/when it happens," wrote Singapore Airlines’ public relations manager for India, Gunjn Chanana.